Cleary Gottlieb Steen & Hamilton, Linklaters and London 2012’s Terry Miller were among the key prize-winners at last night’s Legal Business Awards. Cleary Gottlieb was named Law Firm of the Year from a shortlist including Baker & McKenzie, Bristows, Clifford Chance, Clyde & Co, RPC and Travers Smith. The Wall Street leader was singled out for a truly outstanding year, combining cutting-edge mandates such as Greece’s sovereign bond restructuring and advising Rosneft on its $55bn acquisition of TNK-BP, while posting the highest five-year growth rate of any elite global law firm. Dundas & Wilson is bracing itself for the departure of three more partners from the firm’s London arm. Corporate partners Julian Matthews and Simon Sale, along with banking and finance partner Michael Wrigley have decided to leave the Scots leader, which has faced a difficult few years by any yardstick. These moves compound an unsettled time for the firm’s London office, that last year saw Martin Thomas, one of the firm’s top litigators, leave for Wragge & Co, along with banking partner John Pike, who quit for Osborne Clarke. More recent senior departures include TMT partner Paul Graham, who left for Field Fisher Waterhouse, while real estate partner Nick Padget left for Osborne Clarke. Of this month’s departures, it is thought that Wrigley and Matthews will leave immediately, with Sale leaving next month. Familiar questions about the firm’s London ambitions have been raised. Freshfields Bruckhaus Deringer is launching a scholarship with the Stephen Lawrence Charitable Trust (SLCT) to help students from black and ethnic minorities gain access to the profession, in the latest of a string of diversity initiatives in law. The scholarship will allow four successful male candidates committed to pursuing a career in the legal profession to receive a £3,500 annual contribution towards living expenses, training, mentoring, work experience at Freshfields and a guaranteed interview for a training contract. 4-5 Gray’s Inn Square has merged with Public law set Atlas Chambers in a bid to boost headcount following a swathe of barrister exits late last year. 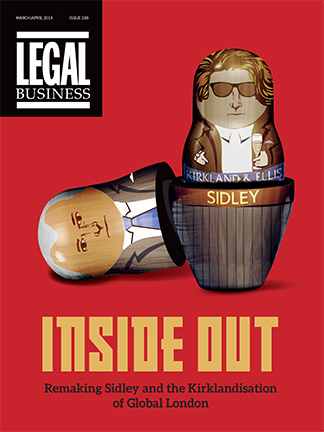 The tie-up will see Atlas director John Lister and his team of eight barristers move in with 4-5 Gray’s Inn Square, which was hit by the exit of 24 members including seven QCs, in November last year (See: 39 Essex Street takeover heralds new dawn) and a further four clerks earlier this year. Both groups joined 39 Essex Street. The managing partners of most international law firms would be happy if India’s legal market took a lead from cricket’s Indian Premier League (IPL). If that were the case the finest local legal talent would advise alongside rainmakers from the UK and US, with foreign lawyers able to practise on the ground in Delhi and Mumbai. It may not generate quite the same fervour as Sachin Tendulkar et al manage in the IPL’s Twenty20 games but throughout the past decade India has been a legal market to get seriously excited about.